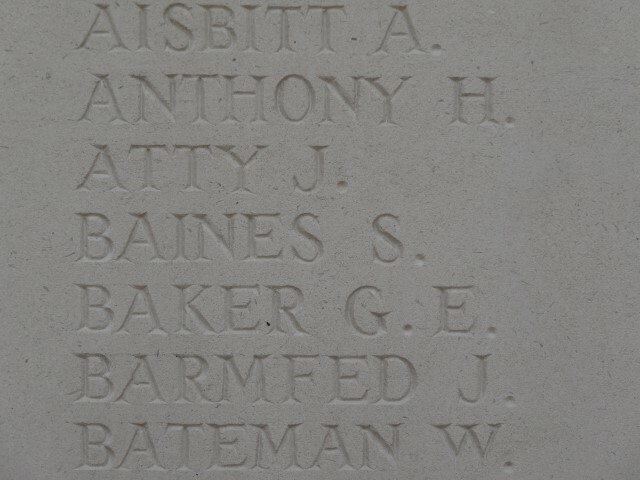 53369, Private Sydney Baines, 15th/17th Battalion, West Yorkshire Regiment (Prince of Wales’s Own) was killed in action 12 April 1918 and is commemorated on the Ploegsteert Memorial, Belgium  and St. Helen’s Colliery Memorial Cottages. He was 19 years old, the son of John and Elizabeth Baines. The 277th and 52nd Battalions were training battalions. The 15th and 17th (Service) Battalions (1st and 2nd Leeds) amalgamated in December 1917. The 15th Battalion, known as the Leeds Pals came under the command of the 93rd Brigade, 31st Division. The 17th Battalion came under the command of 106th Brigade, 35th Division and left November 1917. It is therefore assumed that the 17th Battalion joined the 15th in the 31st Division. The German Spring Offensive entered its second phase and the Battle of Lys raged 9 -29 April 1918. The phase known as the Battle of Estaires took place 9-11 April and the 31st Division was involved. The Battle of Hazelbrouck 12-15 April followed and the defence of Nieppe Forest saw the 31st Division in action. 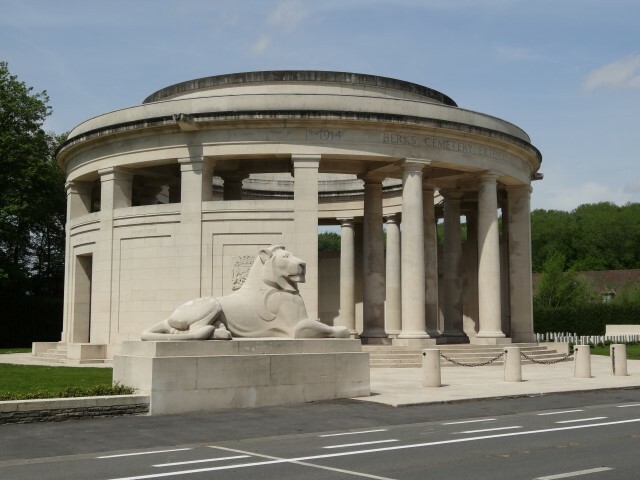 The 31st Division was bussed up to the Outtersteene area from billets near Arras. It was placed at the disposal of the First Army. The 93rd Brigade was positioned to the east of Outtersteene, to the west of Bailleul. During the morning of 12 April the 92nd Brigade moved forward behind the village of Doulieu and the 93rd was in support. But, the remnants of the 40th Division were being scattered by the German onslaught therefore GOC 31st Division Major-General Bridgford decided to use his support, the 93rd Brigade in a counter-attack to stem the German advance. Covered by only one 18-pounder, the advance was successful and a dangerous situation was averted. 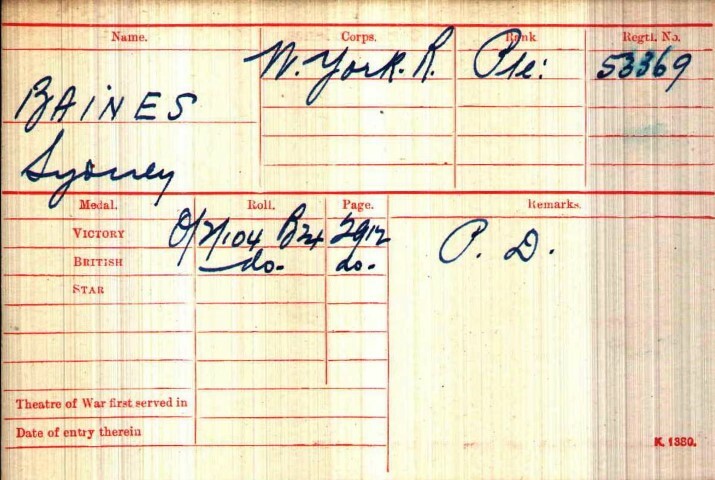 11 April: in billets at Merris and in the Brigade Reserve. The battalion was ordered into the line in support of the 13/York & Lancaster Regiment and 18/DLI and these 2 battalions carried out an attack on La Becque. The Battalion HQ was established at Noote Boom. 12 April: 7.30pm 4 officers and 100 other ranks formed part of a composite battalion with personnel from other units in the Brigade and took up a defensive position in front of Merris. 8.30pm: The remainder moved to Hondegheim then ordered to retire to the railway and hold the position together with 2 battalions of the brigade. Very heavy machine gun fire was directed against the battalion. “The enemy tried to work round our right flank and the Commanding Officer formed a defensive flank to guard against attack. This party engaged the enemy and enabled the main part of the other two battalions and some of our own to fall back on the road in front of METEREN and there all three Battalion Commanders decided to march their men through the outposts of the 33rd Division and to reorganise behind the lines held by the latter. This was done and the defence of METEREN orgainised. The battalion entrenched themselves in a line from the high ground South of METEREN to a point half way down the road between METEREN and BAILLEUL. Orders were received to rejoin their own Battalion at Borre, which had actually moved to Hondeghem but the party joined them there 17 April. During these operations there were many casualties including Lieut. Colonel C.W. Tilly killed in action 14 April. Later research records that between 12 and 17 April, the 15/17th Battalion lost 77 other ranks, killed in action or died of wounds. 69 other ranks died 12 April 1918 including Private S. Baines. Private Sydney Baines served a total of 295 days, 282 at home and 13 in France. He was awarded the British War and Victory medals.